Never be left in the dark on your order’s location or arrival time when you schedule same day shipments with SameDayFreight.com. 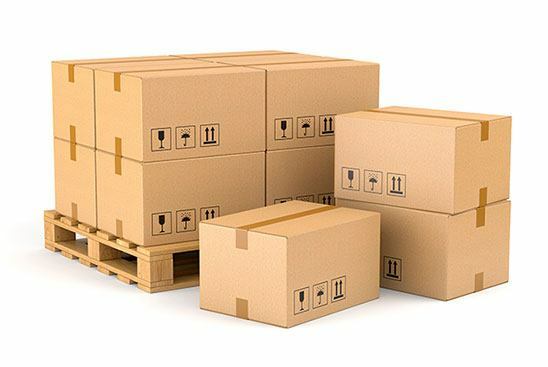 Few factors count more than predictability when it comes to making shipments, which is why SameDayFreight.com pulls out all the stops to provide reliable, consistent service. Not only do we minimize delays and stick strictly to our schedule, but we use the most advanced tracking technology so you know exactly when your order is going to arrive. Between keeping you informed and offering a high standard of service, we make it easy for you to plan your company's operations. While many companies think of speed and safety as the cornerstones of quality shipping, predictability is no less important. As a business, you need to be able to make clear plans for the future so that you can decide what to invest in and how to organize your operations. Plans are hard to make, however, if you don’t know when your next shipment is going to arrive. Thus even if a carrier generally gets your goods to you on or ahead of schedule, if there is a wide range of possible arrival times, your business could still suffer. SameDayFreight.com balances the need for predictability with our signature commitments to swiftness and security. While completing shipments by air and ground on the same day you ordered them, we offer accurate estimates for when your order is going to arrive, and keep strictly to those estimates. If our estimates are inaccurate, we make sure it is because we are early, and we let you know about our earliness we get there. By providing same day deliveries to companies of all industries and sizes, we ensure efficiency and predictability throughout the economy. 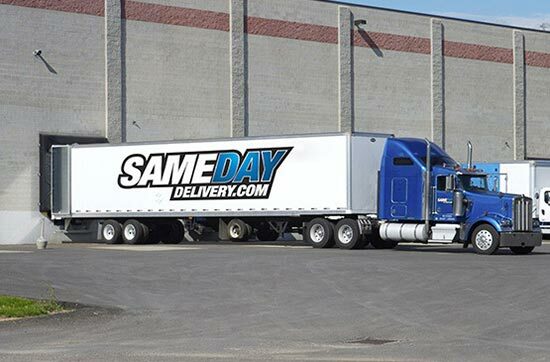 As a same day freight company, SameDayFreight.com must take a variety of different precautions to make our services predictable. This begins with careful trip planning in order to avoid delays. Whenever you place an order, our team takes stock of the route ahead, identifying closed roads, traffic jams, or other contingencies that may block our vehicles from your starting point or destination. We then come up with plans to avoid these obstacles while still finding a swift path to each point along the route. This eliminates the vast majority of delays and allows us to deliver on exactly the schedule we promised. In addition to charting a quick route at the beginning, we keep track of our vehicles as they complete that route and look out for new obstacles that arise. To do this, we invest in advanced monitoring equipment that lets us know exactly where your goods are at any time; this equipment also works on air cargo. If we find any new obstacles, we will quickly look for a way around them, further decreasing the likelihood of delays. Our investment in tracking equipment has an added benefit for predictability. Even if we are not able to find a route around obstacles that we encounter, we can let you know that the delay is happening and give you an estimate of how much time that will add to the delivery. You can then take this estimate into account when making plans for your company, thereby minimizing the cost of the delay. Our tracking devices also let us update you with good news; if the trucks or planes we use are traveling ahead of schedule, we can tell you how early your goods will arrive so that you can make preparations to receive them. Once we have planned a quick route and set up tracking devices, the last step to eliminating delays is to make sure our drivers work safely throughout the trip. To do this, we require two drivers to operate each vehicle that crosses a great distance. One driver rests while the other one drives, and the two are required to switch positions on a regular basis. As a result, both are sufficiently rested to do their jobs safely, minimizing the risk of a crash. For more information on safe, swift, and predictable air and ground transportation, call (800) 713-1000 or visit SameDayFreight.com today.